Past lessons have repeatedly not been learned. The USSR’s Christmas 1979 intervention into Afghanistan was foreseen as a swift, near-costless and necessary conflict. Days after the military move, Soviet president Leonid Brezhnev assured his diplomat Anatoly Dobrynin that, “we will end this war in three or four weeks”. It continued for almost a decade in fact, outlasting by over six years Brezhnev himself, who died in November 1982. A long war in Afghanistan quickened the USSR’s demise, a state of unparalleled vastness gradually deteriorating before the conflict, under years of Brezhnev’s detached leadership (1964-1982). The Soviet Union would crumble in 1991 without a shot being fired, such was the level of fragility that had set in. Brezhnev’s prediction, that the Soviet-Afghan war would be over within a month, stood as another ill-judged estimation from a world leader. Many hundreds of thousands perished in the time following the Soviet invasion – of which Western and Arab oil dictator countries shared culpability – while millions more Afghan civilians fled the country. Yet in some mitigation to the Soviets, Afghanistan was a nation situated at its very borders, sharing frontiers with the Soviet republics of Turkmen, Uzbek and Tajik, in central Asia. Brezhnev and his followers were concerned about growing American influence in one of the planet’s most important localities (Central Asia), laden with natural resources from oil and natural gas to uranium and iron ore.
By sending ground forces to Afghanistan, the Soviet leadership sought to provide backing for communists who claimed power in late April 1978, via a coup d’état. It was a calamitous decision by Brezhnev. There was not the support in Afghanistan to sustain communism, nor would there ever be – the Afghan community is deeply diverse and complex, comprising 14 ethnic groups in a mostly tribal society. Inevitably, the Soviet intervention became a prolonged war, partially due to other foreign influence led by the United States. For large parts of the 1980s, Soviet armies were battling nationalists and terrorists sponsored not just by America and Britain, but supported too by West Germany, Pakistan and even China. The extremists were known as the Mujahideen, in which the Saudi-born Osama bin Laden was a member. America and Saudi Arabia gave the Mujahideen billions in aid, which was gratefully accepted. Zbigniew Brzezinski, the fervently anti-Russian US National Security Advisor, has often been credited with luring the Soviets into a trap, handing them “its Vietnam War”. 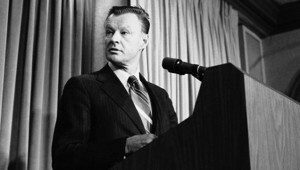 With president Jimmy Carter’s assistance, Brzezinski was indeed a guiding force in offering assistance to opponents of the pro-Soviet Afghan cabinet, intending to elicit a response from Moscow. Brzezinski’s efforts would have come to nothing, had an ill Brezhnev possessed the wisdom to avoid interfering in Afghanistan, so complicated as that nation is. The Soviets irrationally feared a Western-leaning leadership taking hold at its borders – but a legitimate Afghan government will never be truly sympathetic towards America or Russia – as its population has not the cultural basis, or inclination, to be supportive of either. Throughout the 21st century, America has embroiled herself in a seemingly endless conflict in Afghanistan, that it also surely cannot win. While Afghanistan was located in the USSR’s backyard so to speak, America is situated almost 7,000 miles from Afghan territory. Washington has retained its involvement due to Afghanistan being an extremely resource-rich state, and positioned in a pivotal landmass. The Pentagon estimates there are hundreds of billions worth of untapped minerals there. However, successive US administrations have failed to heed the lessons dealt to Russia a generation before. Conflicts like this based on grand ignorance and without righteous aims are destined to fail. US forces, which have committed war crimes on Afghan lands, will not be accepted by local peoples who favor even Taliban insurgents above them. After 1945, all the land invasions America pursued have unfolded very different to how they were anticipated. During the Second World War, American units displayed strong fighting qualities against the formidable legions of Imperial Japan and Nazi Germany – despite Hitler asserting the American soldier was weak, decadent and would be flung back into the Atlantic Ocean. Across the elapsing decades, major advancements in US military technology have impacted upon the psychological mindset of American troops. Where once the common soldier relied primarily upon the traditional rifle and bayonet, his post-1945 equivalent has increasingly been weighed down with all sorts of futuristic equipment and weaponry, far more destructive than before. The old-fashioned soldierly aim of attacking the enemy in the field, and thereby leaving civilians largely unharmed, is from a bygone age. The moral decline induced by this so-called technological progression, is encapsulated by one of the more cowardly methods one can conceive: That of drone warfare. Through this process unsuspecting targets, perhaps innocent, are wiped out at the push of a button – those within a certain radius are also killed or wounded. The local population is left fearful and embittered, be it in Yemen, Pakistan and so on. As early as the Korean and Vietnam wars, significant US military developments were on clear display; for instance with regard the mass introduction of the helicopter. During America’s assault on Vietnam especially, helicopters were used by the many thousands mostly through “counterinsurgency” operations. The deployment of helicopters, like the Bell UH-1 Iroquois, was an indication of the technological fever besetting US political and military figures. Such was the immense noise a single helicopter produced, let alone a fleet, enemy soldiers for miles around had prior warning of the Americans’ arrival, and so could lie in wait. By war’s end, more than 5,000 US helicopters would be destroyed by North Vietnamese and National Liberation Front (NLF) forces, a major success for them. Vietnam, situated in south-east Asia, lies in another critical domain and astride the lucrative South China Sea. The Americans feared Vietnam’s entire takeover by communism would precipitate a domino effect, that may have extended to the Philippines and Malaysia, leading to grave loss of control. After the US failed to prop up autocrats in South Vietnam like Ngo Dinh Diem, by mid-February 1965 president Lyndon B. Johnson approved plans to dramatically escalate the conflict; it included bombing raids on North Vietnam, soon followed by employment of much bigger numbers of foot soldiers. These decisions were also taken in part to maintain US credibility and prestige, an important but understated factor. In April 1965, US Secretary of Defense Robert McNamara said the war in Vietnam “would take more than six months, perhaps a year or two”. McNamara would be a strong advocate of the helicopter in somehow helping to subdue opposition forces. The American attack on Vietnam, and later neighboring Cambodia and Laos (Indochina), became the most severe aggression witnessed since Hitler’s invasion of the USSR. By the early 1970s, millions in this section of Indochina were killed, and countless others were either wounded or deformed. America’s military released great quantities of poisonous chemicals across the region (between 1961 and 1971), affecting civilians by far the most, but also US soldiers. America drew inspiration from Britain in this regard. Again under Winston Churchill as prime minister, the British had initiated extensive chemical attacks during the early 1950s in Malaya, which were later covered up. The absence of ethics relating to this form of warfare is difficult to behold. In Vietnam mainly, deaths and physical defects still occur because of the herbicides’ lingering contamination. The US’s early use of chemical warfare in South Vietnam immediately undermined their regional standing, ensuring leaders favorable to the West had little firm support. As the war proceeded and spread, America would also unload 15 million tons of munitions altogether, over twice the total they consumed during World War II. Many bombs today remain unexploded unless they are stepped on. The US military further erected greatly expensive innovations in Indochina, like computer-coordinated electronic battlefields, and other mind-boggling inventions. To what end one can but guess; it ended in acrimonious failure. At the cessation of hostilities, America’s global reputation was damaged, and would never completely recover. Yet the attack on Vietnam was not an outright defeat for the US. The threat of communism or nationalism stretching outward had been restricted; it was previously stymied by a covert and blood-soaked coup directed by the US and Britain in Indonesia further south. The lessons, both ethical and emotional from these conflicts, were eventually forgotten and the “Vietnam Syndrome” overcome. Under George W. Bush as leader the US first attacked Afghanistan and, less than two years later, Iraq in March 2003. The land invasion of Iraq was another operation based on great naivety and myopia – an incursion into a separate faraway country which US leaders knew little about. The principal reasons for assaulting Iraq included regaining full control over the nation’s massive oil reserves, while reasserting American hegemony and military power. After Saddam Hussein was freshly ousted, in early May 2003 president Bush committed a major blunder when conducting a speech under a banner that read, “Mission Accomplished”. It transmitted a message that was manna to heaven for those bitterly against American occupation. As too was Bush’s insistence at the beginning of his oration that, “Major combat operations have ended. In the battle of Iraq, the United States and our allies have prevailed”. As with almost all wars the US occupation of Iraq went terribly awry, as its forces became bogged down thousands of miles from Washington. The Iraqi people were once more the victims, with hundreds of thousands dying in the following years, and its civil society splintered. Iraq is broken into various sects that are likely irreconcilable, most recently revealed by the country’s fractured elections in May this year.